The other day my right eye started bothering me. My first thought for my eye pain was because some of the Brazilian blow out solution got into my eye when I was at the hair salon getting my hair de-frizzed. I rubbed my eye while I was at the salon and mascara was all over my face, so in doing this I might have given myself a stye? What ever! The point of this story is an old family cure for styes. My mother taught me to rub a stye with a sanitized diamond. Has anyone else ever heard of this treatment or tried it? I went to my eye doctor to see what the official doctor treatment would be and he said hot compresses 3 to 6 times a day. This sounded a little too busy to me, so I opted for the diamond treatment. Diamonds are a girls best friend right? 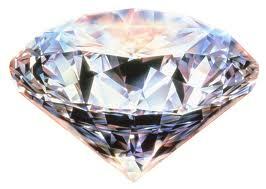 So out came my one of my diamonds, from my vast selection of Jewels (just kidding). I cleaned it first and then rubbed the stye for a few seconds. I did the diamond treatment twice that day, and low and behold the next day the stye was almost gone. I told my boyfriend my story about the family history of using diamonds on styes, he laughed and said “yeah right, you just want more diamonds“! Yes, I said ” It’s a wise idea to always wear one in case of an emergency situation like a stye in your eye”. Wink… wink! I went back to my eye doctor today to pick up my new sunglasses and while I was there I told him my stye was gone. I mentioned the family cure for styes by using diamonds, he looked at me with a sly smile and said he had never heard of such a thing. But you know what? I bet he will try it for himself when ever the next stye opportunity comes around. Now i’m singing the Beatles song…( Lucy in the sky with diamonds) with my own little twist to it…..Janice in the stye with diamonds…. Catchy little diddy, isn’t it? That is bizarre but there are a lot of home type remedies that work. The good thing is the stye is gone. I’ve heard of putting a bar of soap under the muscle in your leg when you have a terrible cramp. Many foods and teas are supposed to help certain conditions. Chewing on a tiny piece of ginger for motion sickness. Peppermint tea for stomach cramps.